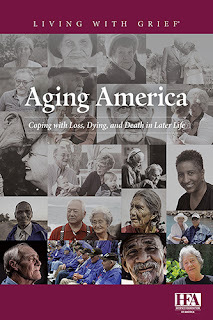 Hope Healthcare President and CEO Samira K. Beckwith has authored a chapter in the book “Aging America: Coping with Loss, Dying and Death in Later Life,” published by the Hospice Foundation of America. According to the Foundation, 10,000 people turn 65 every day in the United States. By 2040, Medicare is expected to include 80 million enrollees. “Aging America” examines ways that mental health professionals, healthcare providers, and the wider community can support the growing number of aging Americans as they experience loss and grief. In the chapter, “The Hospice Connection: Helping Elders Access Hospice Care,” Beckwith dispels hospice myths, shares facts, and addresses the importance of open communication between patients, their loved ones, and their doctors.